CUPERTINO, Calif. (NBC News) – Apple’s group Facetime feature is on hold after discovery of a software bug that allows eavesdropping. The bug allows someone to call and automatically hear another person’s phone, even if that person doesn’t pick up. Videos demonstrating the Facetime glitch quickly went viral. Facetime users could access the recipient’s microphone by adding themselves to the same call through the group chat feature, and if a user tries to dismiss the call by hitting the power or volume button, another bug is triggered. “It actually sends your video even though you haven’t actually answered the call,” says Verge executive editor Dieter Bohn. 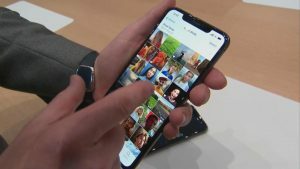 Apple says it is aware of the issue and has identified a fix, and plans to issue a software update with a security patch later this week.